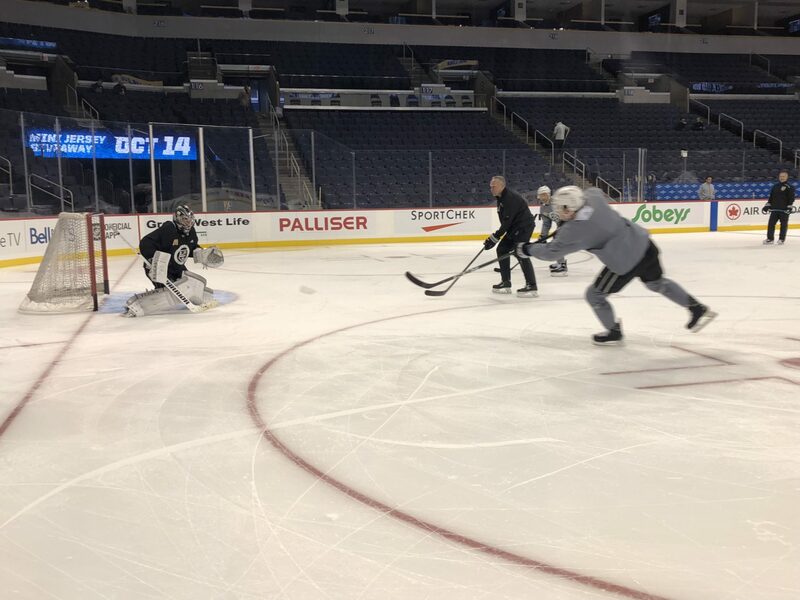 –Jack Campbell left the ice first at the morning skate and will be expected to draw the start against Winnipeg (5:00 p.m. PT / FOX Sports West / FOX Sports app / LA Kings Audio Network). Jaret Anderson-Dolan and Oscar Fantenberg remained on the ice for extra work with Peter Budaj and are not expected to play tonight. Winnipeg is expected to ice a lineup of Connor-Scheifele-Wheeler, Ehlers-Little-Laine, Copp-Lowry-Tanev and Perreault-Roslovic-Vesalainen up front and defensive pairings of Morrissey-Trouba, Chiarot-Byfuglien and Morrow-Myers. Connor Hellebuyck will be backed up by Laurent Brossoit, which really rolls off the tongue. The Jets don’t have any injuries. Must be nice! –Ilya Kovalchuk was selected first overall by the Atlanta Thrashers at the 2001 NHL Draft. He played his final game with Atlanta – who relocated to Winnipeg for the 2011-12 season – on February 2, 2010, a 2-1 loss to Tampa Bay. The lone player who suited up in that game and remains on the Jets is Bryan Little, a consistent two-way center who now has 200 goals and 475 points in 756 games, all with Atlanta and Winnipeg. –Barring calamity, Drew Doughty will appear in his 331st consecutive game tonight, setting a new club record. The last time Doughty missed a regular season game was April 12, 2014, the last of the four games he missed after suffering a shoulder injury in San Jose that caused meltdowns across the Kingdom so close to the playoffs. (It worked out O.K. in the end.) Kopitar appeared in 330 consecutive games between March 21, 2007 and March 26, 2011. Alec Martinez is poised to play in his 499th career game tonight. –With two lines that are essentially top lines and with strong team speed and checking, Winnipeg presents one of the tougher match-up challenges in the NHL, especially at Bell MTS Centre, where they won an NHL-best 32 games last season. (One of their seven regulation losses was to Los Angeles on February 20.) How do the Kings game plan for the Jets, knowing that there are premier individual talents up front in Patrik Laine, Mark Scheifele, Blake Wheeler, Nikolaj Ehlers and Kyle Connor as part of a deep overall group? Are there like five or six names circled on the lineup board, or does the team have to be prepared for an overall fast and firm attack? Ending plays quickly will be key in minimizing the Jets’ looks and chances, as Forbort noted. –Austin Wagner was flipped with Tanner Pearson in the third period on Sunday, and John Stevens was intrigued by what he saw when the young speedster meshed with Jeff Carter and Tyler Toffoli. As any player will say, they don’t want to change their game up based on who they’re playing with. Still, there may be a natural deference when a rookie with two games to his name is placed alongside Jeff Carter and Tyler Toffoli and Patrik Laine. Wagner’s not really thinking about that. -Tonight’s officials are referees Justin St. Pierre and Ian Walsh and linesmen Ryan Galloway and Travis Gawryletz. I spoke with Dave Lowry moments ago, and our chat will air during LA Kings Live, which begins at 4:30 p.m. PT. I’ll also join Jamie Thomas on JetsTV at 4:10 p.m., followed by an injury report during the first intermission and the Insider Report with Nick Nickson on the LA Kings Audio Network during the second intermission. There’s a lot to be excited about. It’s a game night, Insiders. Let’s talk soon. There is a labyrinthine corridor/skyway between our hotel in Winnipeg and the Bell MTS Centre that I finally conquered after six years. Extremely proud.